Hamden Village is one of the unique and resourceful villages that make up Home Haven. A team of volunteer leaders plans and organizes various monthly and annual events. 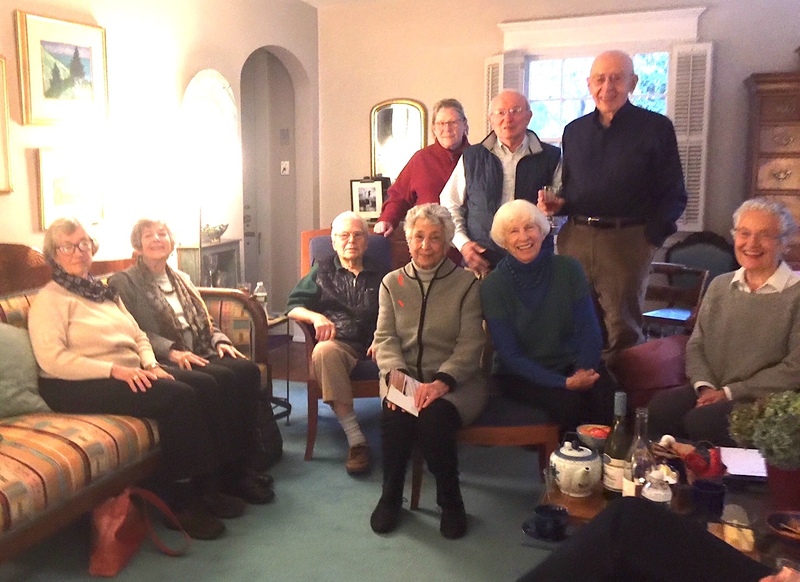 Small local gatherings might include a talk on gardening, a conversation about Gandhi, a piano recital, or discussions about important life issues, as well as informal get-togethers at one another’s homes. Members often share rides to the events and excursions organized by the HomeHaven staff and participate in many of the offerings and services provided by the office. These events build friendships that make it natural for us to help one another as needs arise, from a ride to the doctor’s office to help with preparing a meal or fixing a screen door. Supported by the HH office and staff, and by vetted professionals, we are the first line of defense if a local member needs any kind of assistance. For example, when one of our members fell and broke her back, a crew of friends was organized within hours of her return home – to keep her company, help with cooking and errands, and supply any needed transportation. Lying between East Rock Park and The Sleeping Giant State Park, with more than 3000 acres of open public land, the town of Hamden is home to Quinnipiac University and miles of the Farmington Canal Heritage Trail. Hamden has been home to many well-known figures such as the author Thornton Wilder, the former US Poet Laureate Donald Hall, and the inventor Eli Whitney. The eclectic Eli Whitney Museum offers imaginative learning sessions for kids, and miniature trains running through a New Haven landscape for all ages at Christmas time. There is much to enjoy.